Rav Aharon Katz is the founder and Rosh Yeshiva of Derech Etz Chaim since its inception in 1998. He is a Musmach of Rav Yakov Weinberg ZT”L and Rav Moshe Halbershtam ZT"L and learned in Eretz Yisrael under Rav Shlomo Wolbe ZT”L. Through his early relationships with Gedolei Yisrael, and his decades of experience in Chinuch, Rav Katz’s vision continues to guide the Yeshiva, and our Talmidim, both while in the Yeshiva and in their years beyond. With his office door open, the Rosh Yeshiva worries at all times about the general wellbeing and growth of the Talmidim, while giving shiurim in Gemara, Rambam Hilchos Teshuva, and other Inyanei Hashkafa. Living a short walk from the Yeshiva, Rabbi and Mrs. Katz always have an open door for Derech Etz Chaim Talmidim and Alumni, both on Shabbos and during the week. Born in Switzerland, R' Moshe studied both in Eretz Yisroel at Kol Torah and Ponvitch Yeshiva, as well as in the United States at Ner Yisroel. 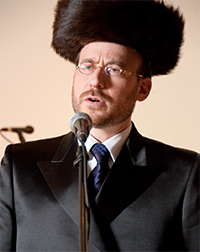 Before making Aliyah and joining Derech Etz Chaim in 2000, Rabbi Rosenbaum taught Torah studies to high school students in Europe and the United States, while earning his MBA and engaging in business. R' Moshe currently teaches Navi to first year students and Gemara Bekiyus to the Shana Bet. A scion of the dynasty of Chassidus Slonim; cultivated by his Rebbe, Rav Mottel Tzukerman ZT”L, molded by his grandfather, Rav Chaim Stein ZT”L Rosh Yeshiva of Telz and inspired and taught by his grandfather Rav Yaakov Weinberg ZT”L, Rosh Yeshiva of Ner Yisrael in Baltimore, Rav Sheftel embodies a unique combination of Mesorah which compounded with a broad education and an analytical mind, makes him an amazing accessible resource to all of the Talmidim at Derech Etz Chaim. He demands excellence, clarity, and knowledge from his students, and it is the theme of his many daily Shiurim in Iyun, Bekiyus, Chumash, and the Rambam’s Sefer HaMitzvos. Beyond his Shiurim, his day is filled with private meetings with Talmidim, and in small groups to discuss their questions, ranging from the basics: Shabbos, T’filla, Ma’amad Har Sinai, to the advanced: Korbanos, Tum’a and Evolution. All are explained clearly and with a logical methodology that has become his hallmark. Rav Sheftel is known for his “sophisticated answers to sophisticated questions” and his incredible connection to his Talmidim that lasts for years beyond their time in Yeshiva. Rav Yonasan grew up in Los Angeles and spent five years learning in Ner Yisrael and Yeshiva University before coming to Eretz Yisroel and learning for six years at Birchas Mordechai, under Rav Yaakov Friedman, Shlit”a. He has been a Maggid Shiur for the Shana Alef students since 2010 and lives with his wife, and three children right across the street from Yeshiva. He spends endless hours from early morning until late at night learning, speaking, and worrying about the Talmidim who know he always available 24/7 all year long. Originally from Detroit, Michigan, Rabbi Gittleman anchors Night Seder at Derech Etz Chaim. He has been a Mechanech since 1981, moved to Israel in 1987, and has been on staff at Derech Etz Chaim since 2004. The proud father of 9 children, and grandfather of 7 and counting, he and his family live in Har Nof, a short distance from the Yeshiva. Rabbi Horowitz was born into the Shor Yoshuv community where he enjoyed a close relationship with Rabbi Shlomo Freifeld z”l. Holding a B.S. in Psychology and M.S. in Clinical Sociology, R' Mendel draws from a wide range of sources to connect with his talmidim. R' Mendel uses his diverse experience to better understand his talmidim and to convincingly imbue the relevancy of Torah. At Derech Etz Chaim Rabbi Horowitz conducts a nightly shiur and Q&A session which aims to inspire curiosity and responsibility. He also directs a weekly Shabbos kiddush and tours throughout Israel designed as opportunities for learning and discovery. Since Derech Etz Chaim opened in 1998, R' Mendel has been encouraging his talmidim to become aware of their abilities and assuring them that daily accomplishments lead to a lifetime of achievement. 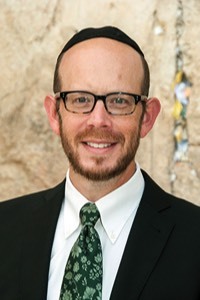 Rabbi Horowitz is also a practicing family therapist whose writing has appeared in The Washington Post, The Jerusalem Post, The Forward, and Mishpacha Magazine. A 5x marathoner, Rabbi Horowitz is a founding member of United Hatzalah's innovative Crisis and Trauma Response Unit and founder of Lev Avos, a nonprofit organization which provides therapeutic interventions for families in Israel and the United States. Rabbi Kornfeld grew up in Yerushalayim and learned in the prestigious Chevron Yeshiva in Jerusalem for six years, as well as the Mir Yeshiva for an additional seven years. Rav Shmuel has been on staff since 2010 and currently gives both an Iyun Gemara Shiur in the morning and a Bekiyus Shiur in the afternoon to Shana Alef students. He lives with his wife and six children in Kiryat Yovel, a short Shabbos walk away from Har Nof where on any given week he has a house full of guests. R' Michael is himself a proud Derech Etz Chaim alumnus. 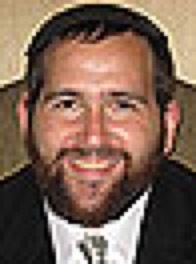 Coming from Atlanta, R' Michael came to Derech Etz Chaim out of high school and was an outstanding Talmid in the Yeshiva for three years before moving on to Yeshivas Birchas Mordechai in Beitar where learned under Rav Yaakov Friedman. After several years in Kollel he took a position as Campus Rabbi in Tucson AZ for two years while pursuing his Masters in Social Work. Rabbi Deutsch and his family made Aliyah and returned to Har Nof and the staff of Derech Etz Chaim in 2014. Besides his morning Iyun Shiur and Night Seder Shiurim, Rav Michael "coaches" and prepares the Talmidim yearly for the Lander Megilla "Bekiyus Blitz" where many years ago he himself was the first grand prize winner, and has helped continue the tradition of DEC Talmidim mastering the mesechta and taking the top prizes year in and year out. When he is not learning with Talmidim throughout the day, you might find him cycling in the Jerusalem hills. R' Betzalel came to Eretz Yisroel with his family in 2002, joined the staff of Derech Etz Chaim in 2005, has been running the day-to-day back office operations since 2007, and officially retired from the Derech Etz Chaim football team in 2009. His wife and five children currently live in the desert community of MItzpeh Yericho, a short distance east of Yerushalayim.